What is Blow Molding Exactly? Blow molded products are products that are made of plastic. 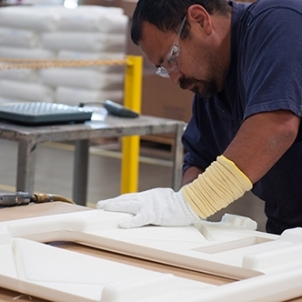 Blow mold manufacturers create these products by first making a mold of the design or shape. After crafting the design, a cast is made to hold the heated plastic material. Once the liquid plastic is poured into the cast or mold, air is blown into the mold and then hard pressed to seal the shape. Extrusion blow molding creates the desired hollow plastic shape. Like any project, you must have a blueprint, or some idea, of what you want to design before molding. The first step to a great design is to sit down and visualize what you want to create and put it on paper. When you have done this, you have begun the process to manufacturing your product idea. Below are some necessary things to consider before you craft your design. Design – This is the step were dimensions are measured, what type of function will the design have, and the end goal of your desired specifications for the products. At Western Case, we can provide a CAD drawing for the product. Crafting the Mold – Determine the cost of materials and time. Western Case designs high quality molds. We provide single or multiple cavity molds, produced from machined aluminum. Our services can ultimately provide a low production unit cost. Our molds also perform well and are designed to last for a long time. Type of Blow Molding Method – Western Case produces products using an extrusion blow molding technique. Our manufacturing procedures have produced products for over 38 years with high quality results. We’re glad to discuss your product’s specifications and use to provide a quote using our services. 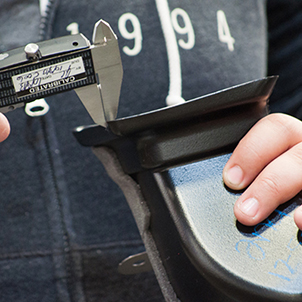 Quality Assurance – As with any product, blow molding is no exception in assuring quality. At Western Case, we assure the highest quality plastic blow molding products. We document all the critical product characteristics and develop a checklist for QA. We check and recheck to make sure that the end results of the product are sound. In the end, a product design is created for you to sell. The product will have passed all quality control checks before use. We provide a free quote. Give us a call at 877-593-2182 or contact us using the button below.